As we’re all aware by now (sometimes painfully so), the Internet has brought about dramatic changes in just about every aspect of human life. From how we find love and how we define friendship to the ways we sell and buy things, there’s no mistaking the tectonic shift that has taken place in our world over the past twenty years due to the Internet and its outsized influence. The Internet has spoken, and, like it or not, there’s also no going back to the world we once knew. This holds especially true for those of us who make a living selling products of one kind or another. We can long all we want for the days when brick and mortar shops ruled all, but consumers have spoken, and if you want to be a successful business owner, you’ll have to listen. The ease and convenience of shopping at home in their jammies, pointing and clicking until merchandise magically appears on their doorsteps: there’s no going back from that. The only question is this: should you jump on board the e-commerce bandwagon? For most businesses, including Bond James Bond Inc., our best answer is yes, and the sooner the better. E-commerce might be the only wagon in town before we know it, and you’ll be hard pressed to survive if you’re not already on it. How do you get started? Good question. Read on and we’ll break it down for you. If you want to sell online you’ll need a website (we’ll get there in a bit), but before you can have a website you’ll need a domain name: www.fillintheblank.com. You’ll want something recognizable and hard to forget. Obviously, using your business name or the name of your best-known product will work best. Unless you have an in-house web design professional, this is best hired out to people who know exactly what they are doing. The website should combine attractive aesthetics and ease of use. A shoddily designed website—one that’s either ugly or hard to navigate—sends a message to consumers about your company and your products. In other words, if you care about making and selling quality products, you’ll care about creating and maintaining a quality website. Part of this involves investing in effective software solutions like Sitelock.com website security to ensure fast load times and protect customer information. Assess warehousing and shipping needs. You can’t get into the e-commerce game unless you’re willing to do what it to takes to ensure efficient warehousing and shipping. Does your current company warehouse have shipping space? If not, you’ll need to rent or purchase more space, possibly at another location. Which major carrier will handle all your shipping? Why? You can’t just draw a name out of hat; you’ll need to investigate the available options and make an informed decision about which carrier will best meet your shipping needs. Set-up a credit-card processing system. As with your shipping options, you’ll have multiple solutions available for credit card processing. Do your research. You need a system that has a history of reliability as well as security, one that can be integrated seamlessly with your website and your already existing billing software. Place your site on all major search engines. Of course, it’s one thing to register with major search engines, it’s another to actually place high in the search rankings. For that, you’ll have to research the latest search engine optimization (SEO) strategies and implement them. It can be hard and frequent work to build your search rankings, so you might want to hire such labor out. Get that website online and open up the virtual doors of your e-commerce store. If you’ve got compelling products to sell and you’ve followed the above steps, you should start selling in no time. There you go. It can be daunting getting into the e-commerce game, but more and more it’s becoming the biggest game in town. As a business owner, you ignore e-commerce at your peril. So take our above advice and run with it while you still can. User centered ecommerce solutions are the ones that succeed. Make sure you utilize this strategy when developing an ecommerce store for your business. Emphasize user-friendliness in your online store design, even if you are only selling your famous frozen yogurt recipe. Turn online shopping into an experience. Make it easier for online shoppers to envision your products in their lives. When you focus on the user, your odds at success in the competitive ecommerce industry will be much better. If you want to have a much easier time building your e-commerce website, consider a program that will do it for you! Shopify is one of the biggest names in e-commerce, so you may want to have a look at them. However, because they are such a big name that also means big bucks to use their gamification examples. Consider starting out with a simple online store created using SquareSpace or similar. No matter what company you decide to do business with, making use of an ecommerce website builder will speed up the process exponentially with less work required from you and your employees. 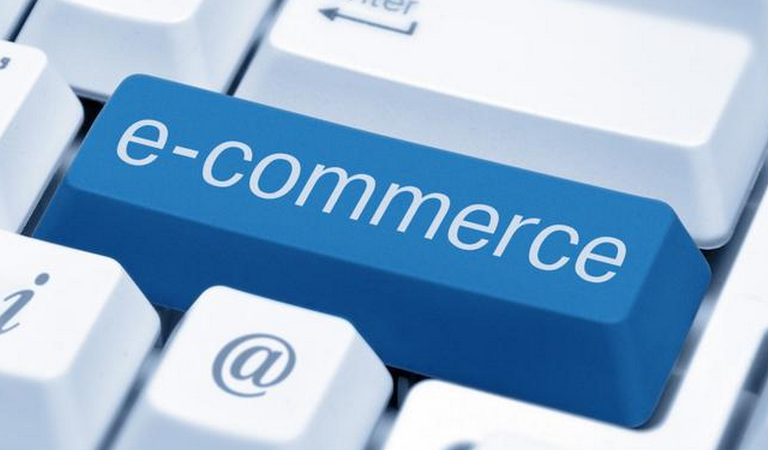 E commerce in India is in real boom and I am sure there is huge potential in it left. This is a very useful article and beneficial for beginners. Many thanks for your hard work of crafting this article.